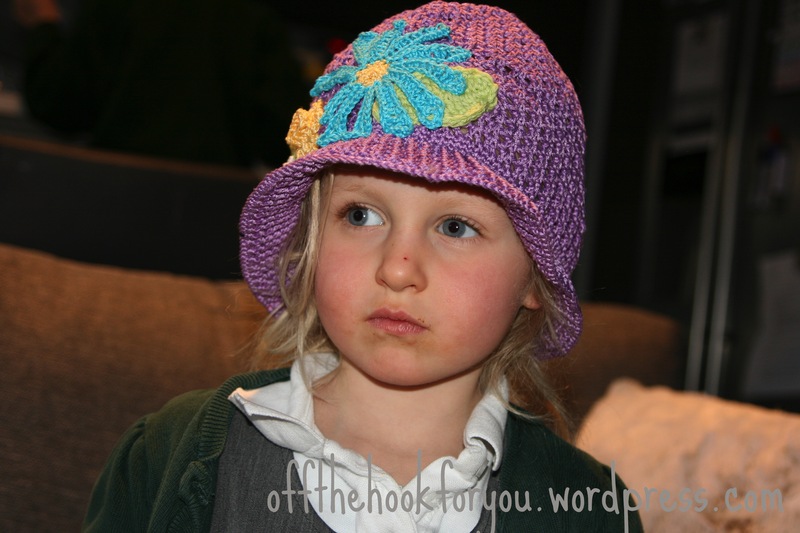 A couple of weeks ago I made ‘that hat’ – you know the one, the wonderful facebook pictures of the little girl wearing wondering summer hats, very intricate and covered in beautiful flowers and beads. You can see how I did it here with the help of Louise’s post. Then I decided to try the other one, looks more see through basically. 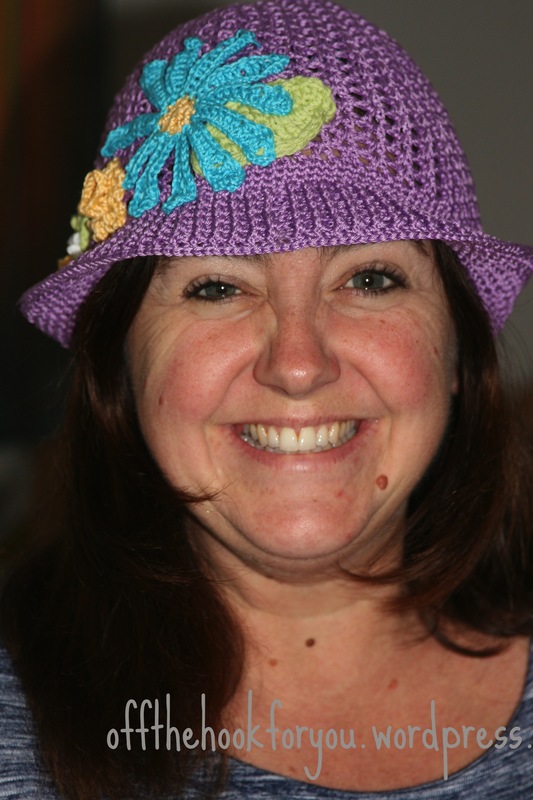 So after studying the Russian you tube videos, along with the visual pattern and a free pattern found on Etsy here, I managed to come up with what resembles a hat – again, I changed the brim to be my own (and then I changed it again – another post soon)! 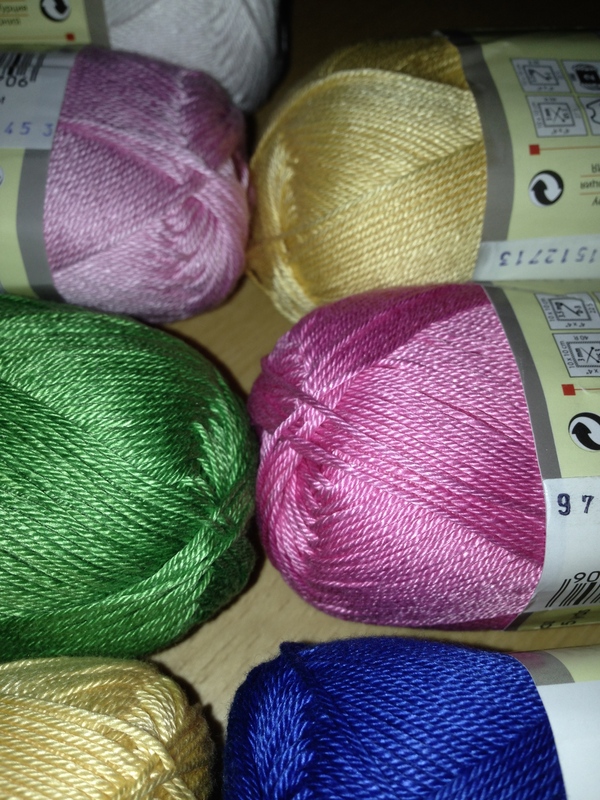 So – starting with the suggested mercerised cotton – in this case – Yarnart Begonia in a few differently colours (bought off ebay from Luthuania, a 2.0 and 2.5mm Clover amour hooks (a lot kinder on my hands), and marker I was off. 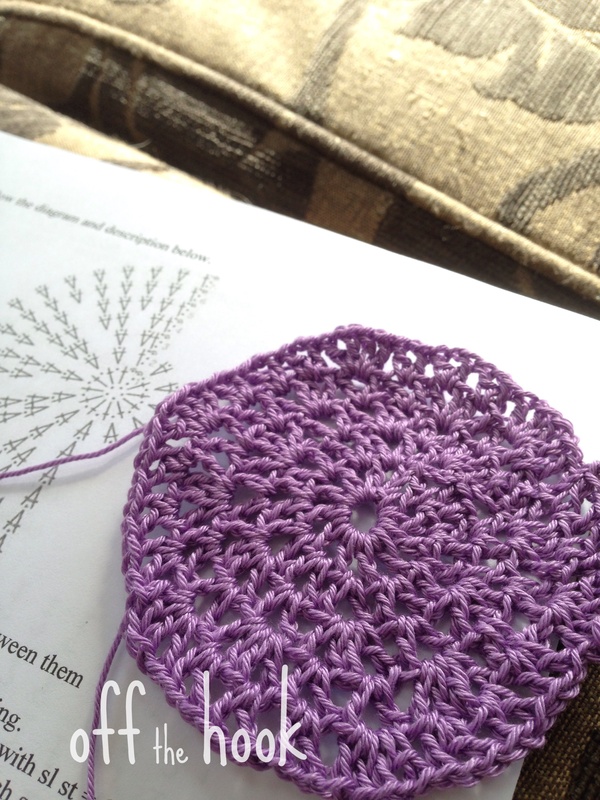 I got a bit carried away and forgot to take photos of this purple version, but you’ll get the idea. I made it to be 16cm across – which according to basic maths suing Pi should fit a 52cm head, or what I was aiming for – a 7 year olds head. It came up a tad big – in fact it fits me (and my little girl but it wobbles a bit). On this hat, and the blue one you’ll see soon (another different brim), I changed the brim again to be mine. Both start from 2 rounds of SC, then on the third round do 1 SC in 2 stitches, 2SC in the next stitch. 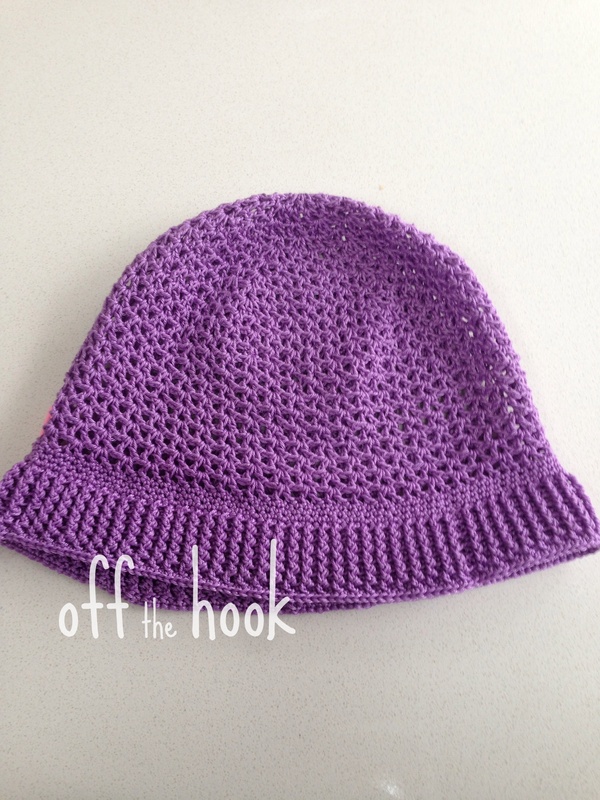 For this purple hat I then did FPDC, BPDC all the way round for about 5 rounds – I used a 2.5mm hook – and it was a lot kinder on my hands. The last row is a SC all the the way round. 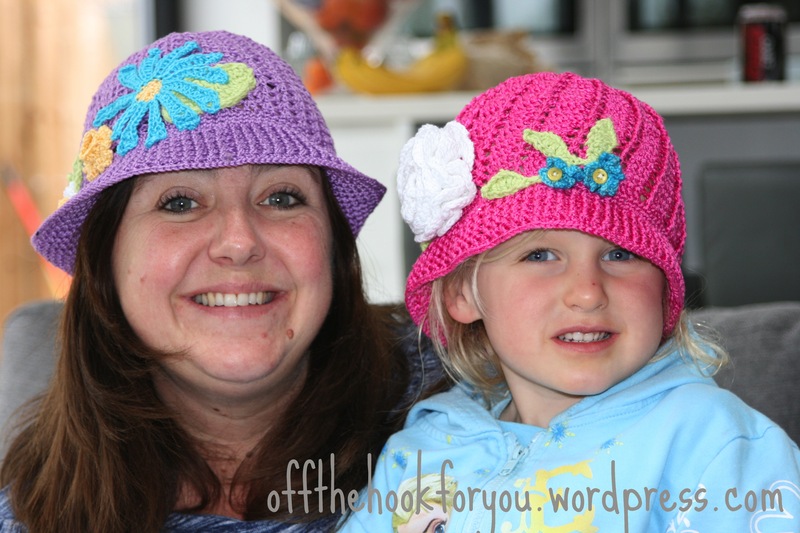 So then you have a hat….. What colour flowers??? 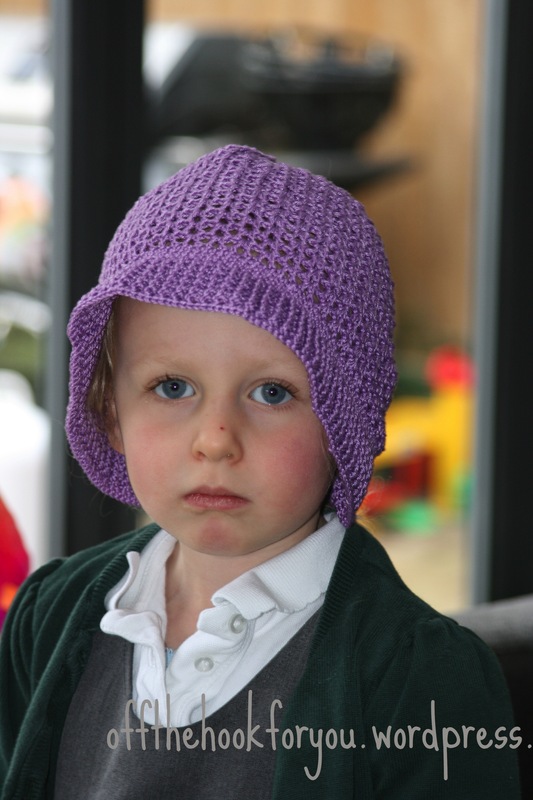 Now with my little girl wearing them (she didn’t really want to – as I think you can tell from these photos). Patterns will follow if you’d like them, but now to model our hats (I do clean her honestly – she just seems to attract dirt!). Oh – and this is me……. 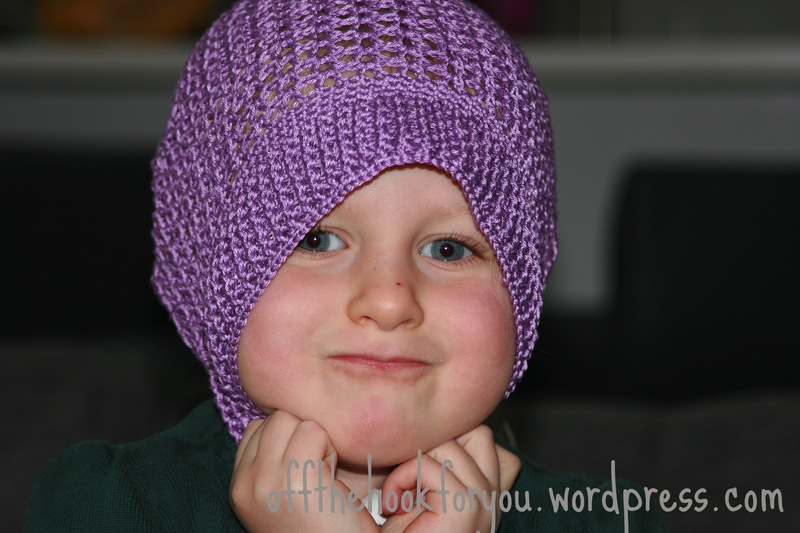 Now as you are reading this – this is the next hat I’ve been working on. 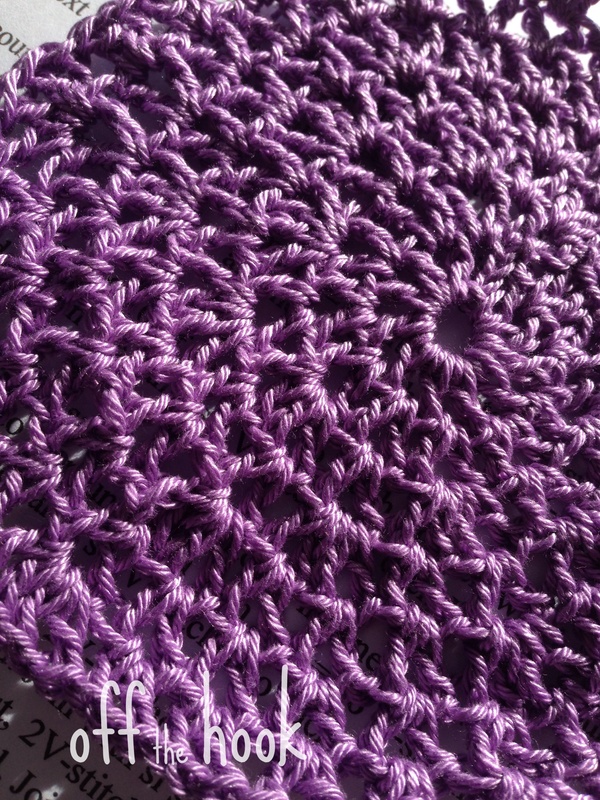 A completely different brim, which has been changed numerous times (you will see the different versions), and I will publish the pattern here shortly (when the flowers are done). Do you have any suggestions for flower colours before I set to work???? 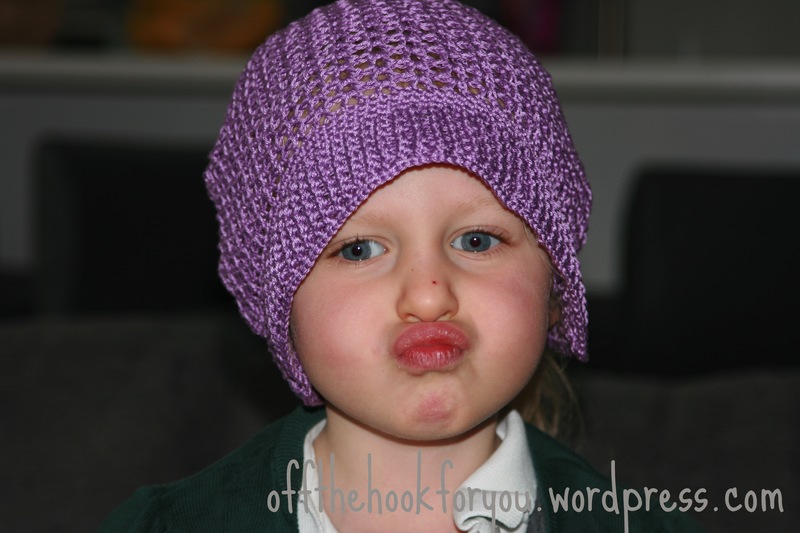 Nice to see a photo of you modelling a hat!! I loooove that mercerized cotton! I might have to jump online and buy some too! I love its glossiness. 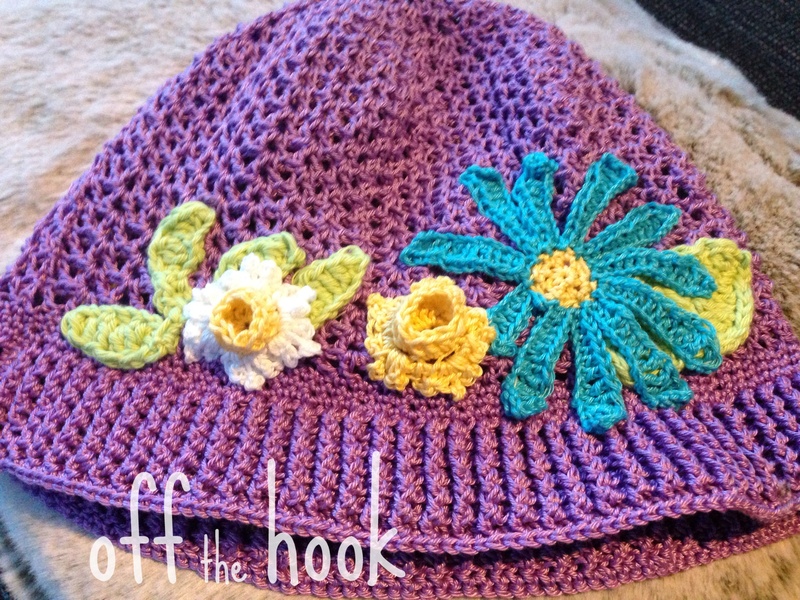 I think some more yellow daffodils and light pink flowers for the teal hat would be nice? 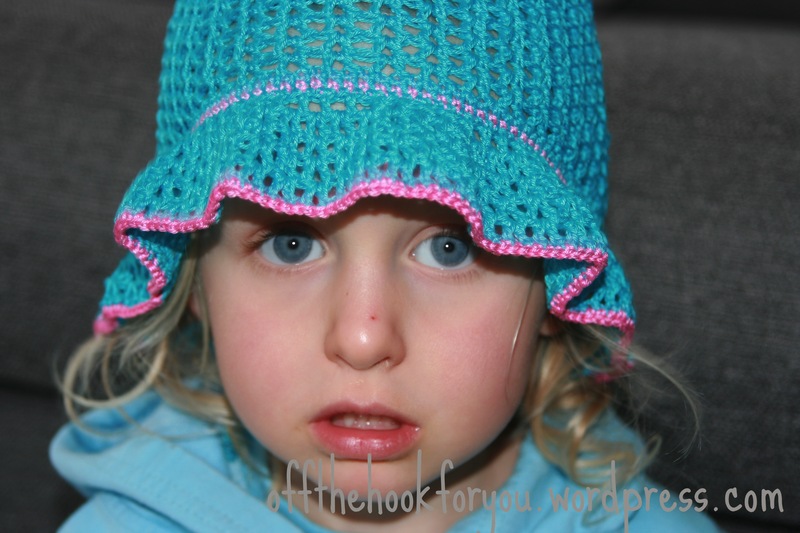 Hi Louise, Thanks for the reply – I’ll take a look a look at the leaf pattern for the hat – thanks, and crochet along with it! 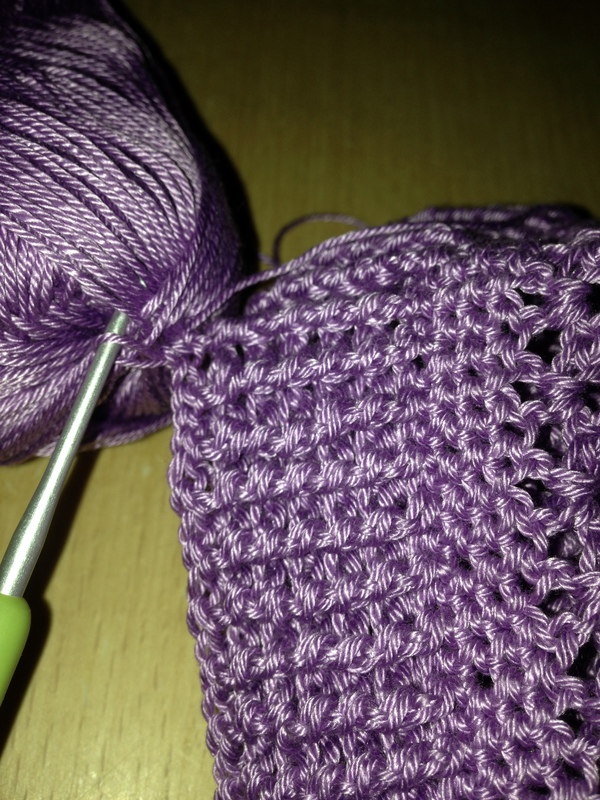 I love mercerized cotton too – couldn’t decide on the colours hence ended up with so many!!! Glad you like me photo – not sure I’m the most photogenic of the family – think my little girl gets that award! Thanks, I’ll see if I have time for a post on how to add the flowers, it seems such a long time ago Louise and Myself published those posts, it’s amazing people are still popping by to read them!